Food scholars from across the globe have been named recipients of the Best Paper Prize on Planning for Equitable Urban and Regional Food Systems. The Best Paper Prize acknowledges and provides recognition for innovative food systems scholarship by early career scholars across the Global South and Global North, and is tied to a recent issue of Built Environment. The fall 2017 special issue of Built Environment, guest edited by Samina Raja (University at Buffalo, The State University of New York), Kevin Morgan (Cardiff University), and Enjoli Hall (University at Buffalo, The State University of New York) focuses on Planning for Equitable Urban and Regional Food Systems. In their editorial article, the guest editors note that: "Food has captured the imagination of planning and design professions and disciplines across the globe as evidenced by the growing body of food-related scholarship, practices, pedagogy, and policies." The ten articles in the open access special issue explore the possibilities of “food as a lever for economic and social justice,” and ask how the growing engagement of planning and design disciplines within city and regional food systems subverts, reinforces, or exacerbates inequities and injustices. Of the ten articles featured in the special issue, eight articles are written by early career scholars, including tenure-track faculty members, post-doctoral scholars, and doctoral students. To recognize the work of early career scholars in the special issue, the guest editors awarded two best paper prizes for early career scholars— one prize for the best paper in the special issue written on a topic related to the Global North and another prize for the best paper in the special issue written on a topic related to the Global South. The prizes include an honorarium of $1000 (US). Each reviewer has unique expertise in food systems planning and collectively the reviewers offer perspectives from the worlds of the academy, civil society, and public policy, across the Global North and the Global South. The future of small-scale family farming remains uncertain in many communities across both the Global North and South despite a focus on food systems localization. In the article, "'We want to be part of the broader project' Family Farmers and Local Food Governance in Porto Alegre, Brazil,” authors Maria Vasile and Jessica Duncan use a case study of Porto Alegre, Brazil to understand the ways in which structural inequalities limit family farmers' participation in food governance. 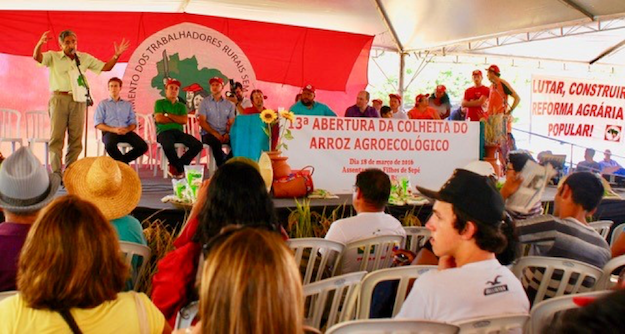 The authors find that neither the top-down Brazilian regulation for organic food nor the policies and provision of technical assistance are designed to fit the local context nor the needs and circumstances of farmers. The authors caution that systematization of local food practices--such as through standards and regulations--may threaten the autonomy of farmers and dampen innovation in the food system. The authors offer guidance for inclusive engagement processes to enable city and regional food systems planning to reduce structural inequalities. Maria Vasile is a consultant in social protection at the Food and Agriculture Organization of the United Nations. Jessica Duncan is an assistant professor of rural sociology at Wageningen University and is an associate editor for the journal Food Security. Local governments across the globe are involved in a wide variety of efforts to strengthen food systems to facilitate food access and healthy eating in their communities, but in many instances, community-led practice shapes local government policy. In the article, "Culturing Food Deserts: Recognizing the Power of Community-Based Solutions, " authors Catherine Brinkley, Subhashni Raj and Megan Horst note growing public health concerns from the media, academics, policymakers, and activists over healthy eating. 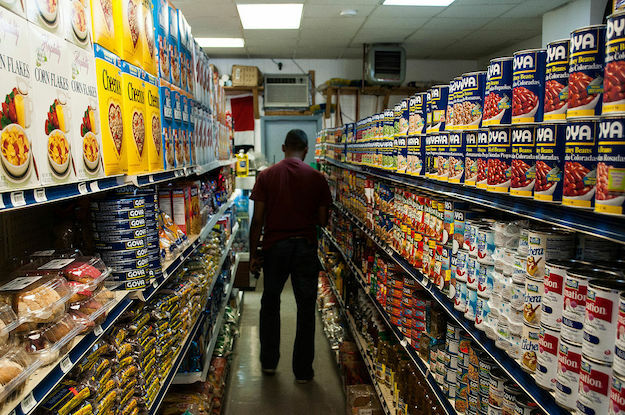 The authors demonstrate the limitations of focusing on so-called 'food deserts' as a problem and establishing supermarkets as a solution to the health disparities found in communities of color in the United States. Using a mixed-methods approach, Brinkley, Raj, and Horst demonstrate that diet-related health outcomes are most strongly associated with income and race. The authors conclude the article by suggesting new avenues for supporting the provision of food centered around existing community-based practices such as farm-to-market and self-provisioning. Catherine Brinkley is an urban planner and assistant professor of community and regional development at the University of California, Davis. Subhashni Raj is a food systems researcher based in Fiji, and recently graduated with a doctoral degree in urban and regional planning from the University at Buffalo, The State University of New York. Megan Horst is an assistant professor of urban studies and planning at Portland State University. This special issue and best paper prize was made possible with the support of a grant from the National Institute of Food and Agriculture (NIFA) of the United States Department of Agriculture grant no 2012-68004-19894 and the University at Buffalo Community for Global Health Equity (UB CGHE).